Since the fall of Saddam Hussein in 2003, the Shi’ites social position and identity has transformed. While the Shiites have been pacifist in the history of Iraq nation, after the regime change they have become active players of the game and struggled for scarce resources. I will trace this identity transformation by using Tajfel and Turner’s Social Identity Theory. Firstly, I will briefly outline this theory by giving its strengths and weaknesses. Secondly, I will try to apply the theory to the practice and discuss to what extent this explains the Iraqi case. In the final section of this short paper, I will explain why and how this theory cannot explain some certain points. Tajfel and Turner’s main thesis is that ‘‘unequal distribution of objective resources create antagonism between dominant and subordinate groups, provided that the latter group rejects its previously accepted and consensually negative self-image, and with the status quo, and starts toward the development of a positive group identity’’<!–[if supportFields]> ADDIN EN.CITE <EndNote><Cite><Author>Tajfel</Author><Year>1979</Year><RecNum>168</RecNum><DisplayText>(Tajfel &amp; Turner, 1979a)</DisplayText><record><rec-number>168</rec-number><foreign-keys><key app=”EN” db-id=”zpxez0zs4at2e7esw2bx92zjdtp92ae0a5zd”>168</key></foreign-keys><ref-type name=”Book”>6</ref-type><contributors><authors><author>Tajfel, H.</author><author>Turner, J. C.</author></authors></contributors><titles><title>Differentiation between social groups: Studies in the social psychology of intergroup relations</title></titles><dates><year><style face=”normal” font=”default” charset=”162″ size=”100%”>1979</style></year></dates><pub-location><style face=”normal” font=”default” charset=”162″ size=”100%”>London</style></pub-location><publisher>Academic Press</publisher><urls></urls></record></Cite></EndNote><! [endif]–>(Tajfel & Turner, 1979a)<!–[if supportFields]><![endif]–>. Although this theory explains how conflict arises between the dominant and subordinate groups to some extent, this thesis is not valid for all cases. Also, although Tajfel and Turner criticize and supplement Sheriff’s Realistic Group Theory (RCT) which, in their words, argues ‘‘real group interests causes intergroup conflict’’, their theory is also based on ‘interest’, which can be regarded as scarce resource, but not on psychological or cultural dimensions. Furthermore, they argue that categorization helps the creation of social identity and therefore out-group discrimination asserts in-group identity along with in-group bias<!–[if supportFields]> ADDIN EN.CITE <EndNote><Cite><Author>Huddy</Author><Year>2001</Year><RecNum>170</RecNum><DisplayText>(Huddy, 2001)</DisplayText><record><rec-number>170</rec-number><foreign-keys><key app=”EN” db-id=”zpxez0zs4at2e7esw2bx92zjdtp92ae0a5zd”>170</key></foreign-keys><ref-type name=”Journal Article”>17</ref-type><contributors><authors><author>Huddy, Leonie</author></authors></contributors><titles><title>From Social to Political Identity: A Critical Examination of Social Identity Theory</title><secondary-title>Political Psychology</secondary-title></titles><periodical><full-title>Political Psychology</full-title></periodical><pages>127-156</pages><volume>22</volume><number>1</number><dates><year>2001</year></dates><publisher>International Society of Political Psychology</publisher><isbn>0162895X</isbn><urls><related-urls><url>http://www.jstor.org/stable/3791909</url></related-urls></urls></record></Cite></EndNote><! [endif]–>(Huddy, 2001)<!–[if supportFields]><![endif]–>. Although various empirical studies cited by Huddy show that social identities are formed mostly by individual perceptions<!–[if supportFields]> ADDIN EN.CITE <EndNote><Cite><Author>Huddy</Author><Year>2001</Year><RecNum>170</RecNum><DisplayText>(Huddy, 2001)</DisplayText><record><rec-number>170</rec-number><foreign-keys><key app=”EN” db-id=”zpxez0zs4at2e7esw2bx92zjdtp92ae0a5zd”>170</key></foreign-keys><ref-type name=”Journal Article”>17</ref-type><contributors><authors><author>Huddy, Leonie</author></authors></contributors><titles><title>From Social to Political Identity: A Critical Examination of Social Identity Theory</title><secondary-title>Political Psychology</secondary-title></titles><periodical><full-title>Political Psychology</full-title></periodical><pages>127-156</pages><volume>22</volume><number>1</number><dates><year>2001</year></dates><publisher>International Society of Political Psychology</publisher><isbn>0162895X</isbn><urls><related-urls><url>http://www.jstor.org/stable/3791909</url></related-urls></urls></record></Cite></EndNote><! [endif]–>(Huddy, 2001)<!–[if supportFields]><! [endif]–>, Tajfel and Turner’s in-group bias against the superior groups presents us a meaningful explanation in religious conflicts. The Shi’ite-Sunni conflict dates back to the debates over the Caliphate after the death of the Prophet Muhammad in 632. Since then, there have been many bloody confrontations between the Shi’ites and the Sunnis. Over the time, the Shiites have become pacifists who do not want to participate in politics since most of their religious leaders were assassinated and because of their different interpretations of Islam and Islamic government. Furthermore, although they were pacifists they claimed that they were, as were their ancestors, revolutionaries which is falsified by historical evidence<!–[if supportFields]> ADDIN EN.CITE <EndNote><Cite><Author>Dawoody</Author><Year>2005</Year><RecNum>171</RecNum><DisplayText>(Dawoody, 2005; Zubaida, 2005)</DisplayText><record><rec-number>171</rec-number><foreign-keys><key app=”EN” db-id=”zpxez0zs4at2e7esw2bx92zjdtp92ae0a5zd”>171</key></foreign-keys><ref-type name=”Journal Article”>17</ref-type><contributors><authors><author><style face=”normal” font=”default” charset=”162″ size=”100%”>Dawoody, Alexander</style></author></authors></contributors><titles><title><style face=”normal” font=”default” charset=”162″ size=”100%”>Governance and the Shiite Political Movement in Iraq</style></title><secondary-title><style face=”normal” font=”default” charset=”162″ size=”100%”>Public Administration and Management</style></secondary-title></titles><periodical><full-title>Public Administration and Management</full-title></periodical><pages><style face=”normal” font=”default” charset=”162″ size=”100%”>3-28</style></pages><volume><style face=”normal” font=”default” charset=”162″ size=”100%”>10</style></volume><number><style face=”normal” font=”default” charset=”162″ size=”100%”>1</style></number><dates><year><style face=”normal” font=”default” charset=”162″ size=”100%”>2005</style></year></dates><urls></urls></record></Cite><Cite><Author>Zubaida</Author><Year>2005</Year><RecNum>179</RecNum><record><rec-number>179</rec-number><foreign-keys><key app=”EN” db-id=”zpxez0zs4at2e7esw2bx92zjdtp92ae0a5zd”>179</key></foreign-keys><ref-type name=”Book”>6</ref-type><contributors><authors><author>Zubaida, Sami</author></authors></contributors><titles><title>Law and power in the Islamic world</title></titles><pages>vii, 248 p.</pages><keywords><keyword>Islamic law.</keyword></keywords><dates><year>2005</year></dates><pub-location>London</pub-location><publisher>I. B. Tauris</publisher><isbn>1850439346</isbn><call-num>MAGCL 340.59 ZUB Magdalen College Library 340.59 ZUB</call-num><urls></urls></record></Cite></EndNote><! [endif]–>(Dawoody, 2005; Zubaida, 2005)<!–[if supportFields]><![endif]–>. 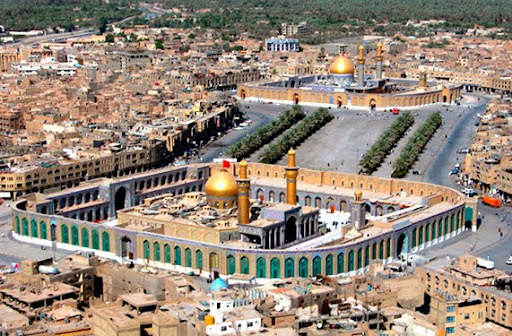 In parallel with much of the Shiites’ history, the Shiites were ‘politically impotent’ and economically depressed which had great impacts on their identity in modern Iraq’s history<!–[if supportFields]> ADDIN EN.CITE <EndNote><Cite><Author>Batatu</Author><Year>2004</Year><RecNum>175</RecNum><DisplayText>(Batatu, 2004; Nasr, 2006)</DisplayText><record><rec-number>175</rec-number><foreign-keys><key app=”EN” db-id=”zpxez0zs4at2e7esw2bx92zjdtp92ae0a5zd”>175</key><key app=”ENWeb” db-id=””>0</key></foreign-keys><ref-type name=”Book”>6</ref-type><contributors><authors><author>Batatu, Hanna</author></authors></contributors><titles><title>The old social classes and the revolutionary movements of Iraq : a study of Iraq&apos;s old landed and commercial classes and of its Communists, Baathists, and Free Officers</title></titles><keywords><keyword>*¸Þizb al-Shuy¿±***± al-**Ir**q*±.</keyword><keyword>Social classes Iraq.</keyword><keyword>Iraq Politics and government.</keyword></keywords><dates><year>2004</year></dates><pub-location>London</pub-location><publisher>Saqi</publisher><isbn>0863565204</isbn><call-num>BODBL M06.E07837 ISLNU DS 79.BAU SSLBL JQ1825.I773.BAT Bodleian Library (UBHU) M06.E07837 Islamic Studies Library DS 79.BAU Social Science Library JQ1825.I773.BAT</call-num><urls></urls></record></Cite><Cite><Author>Nasr</Author><Year>2006</Year><RecNum>172</RecNum><record><rec-number>172</rec-number><foreign-keys><key app=”EN” db-id=”zpxez0zs4at2e7esw2bx92zjdtp92ae0a5zd”>172</key></foreign-keys><ref-type name=”Journal Article”>17</ref-type><contributors><authors><author>Nasr, Vali</author></authors></contributors><titles><title>When the Shiites Rise</title><secondary-title>Foreign Affairs</secondary-title></titles><periodical><full-title>Foreign Affairs</full-title></periodical><pages>58-74</pages><volume>85</volume><number>4</number><dates><year>2006</year></dates><publisher>Council on Foreign Relations</publisher><isbn>00157120</isbn><urls><related-urls><url>http://www.jstor.org/stable/20032041</url></related-urls></urls></record></Cite></EndNote><! [endif]–>(Batatu, 2004; Nasr, 2006)<!–[if supportFields]><![endif]–>. This evidence is relevant to Social Identity Theory to some extent. Tajfel and Turner suggest that subordinate groups may develop a ‘positive ethnocentric group identity’ by rejecting their previously negative evaluations<!–[if supportFields]> ADDIN EN.CITE <EndNote><Cite><Author>Tajfel</Author><Year>2004</Year><RecNum>177</RecNum><DisplayText>(Tajfel &amp; Turner, 2004)</DisplayText><record><rec-number>177</rec-number><foreign-keys><key app=”EN” db-id=”zpxez0zs4at2e7esw2bx92zjdtp92ae0a5zd”>177</key></foreign-keys><ref-type name=”Book Section”>5</ref-type><contributors><authors><author>Tajfel, H., </author><author>Turner, J. C.</author></authors><secondary-authors><author><style face=”normal” font=”default” size=”100%”>Jost</style><style face=”normal” font=”default” charset=”162″ size=”100%”>, J. T.,</style></author><author><style face=”normal” font=”default” charset=”162″ size=”100%”>Sidanious, J. </style></author></secondary-authors></contributors><titles><title>Social Identity Theory of Intergroup Behavior</title><secondary-title>Key Readings in Political Psychology </secondary-title></titles><pages><style face=”normal” font=”default” charset=”162″ size=”100%”>367-390</style></pages><dates><year><style face=”normal” font=”default” charset=”162″ size=”100%”>2004</style></year></dates><pub-location><style face=”normal” font=”default” charset=”162″ size=”100%”>New York</style></pub-location><publisher>Psychology Press</publisher><urls></urls></record></Cite></EndNote><! [endif]–>(Tajfel & Turner, 2004)<!–[if supportFields]><! [endif]–>.After the fall of Saddam with the U.S. intervention in Iraq, the Shi’ite community emerged as the primary political force in the country. This emergence led to a positive transformation of Shiite identity and the pacifist political identity started to be an active one. While the Shi’ites have defined their identities by their oppositional stance historically<!–[if supportFields]> ADDIN EN.CITE <EndNote><Cite><Author>Tripp</Author><Year>2007</Year><RecNum>195</RecNum><DisplayText>(Tripp, 2007)</DisplayText><record><rec-number>195</rec-number><foreign-keys><key app=”EN” db-id=”zpxez0zs4at2e7esw2bx92zjdtp92ae0a5zd”>195</key></foreign-keys><ref-type name=”Book”>6</ref-type><contributors><authors><author>Tripp, Charles</author></authors></contributors><titles><title>A history of Iraq</title></titles><pages>xxiii, 357 p.</pages><edition>3rd</edition><keywords><keyword>Iraq History 1921-</keyword></keywords><dates><year>2007</year></dates><pub-location>Cambridge. UK ; New York</pub-location><publisher>Cambridge University Press</publisher><isbn>9780521878234 (hbk.) 0521878233 (hbk.) 9780521702478 (pbk.) 052170247X (pbk. )</isbn><accession-num>5308260</accession-num><call-num>Firestone Library (F) DS79; .T75 2007</call-num><urls></urls></record></Cite></EndNote><! [endif]–>(Tripp, 2007)<!–[if supportFields]><! [endif]–>, after they became a primary player in national politics they present themselves with self-esteem which derives from their positive identification. However, does it mean that the Shi’ites of Iraq reject their previously negative evaluations? No easy answer can be given to this question since there is not inadequate research into this subject. It can be said that since the Shi’ite identity have been built on ‘myths’, they may not easily reject their previous identities. However, it is obvious that they functionalize their negative narratives which reflect their identities to gain more power in political arena, religious life and business. Returning to theoretical background, Tajfel and Turner determine three principles which are the variety of reactions to negative social identity<!–[if supportFields]> ADDIN EN.CITE <EndNote><Cite><Author>Tajfel</Author><Year>1979</Year><RecNum>202</RecNum><DisplayText>(Tajfel &amp; Turner, 1979b)</DisplayText><record><rec-number>202</rec-number><foreign-keys><key app=”EN” db-id=”zpxez0zs4at2e7esw2bx92zjdtp92ae0a5zd”>202</key><key app=”ENWeb” db-id=””>0</key></foreign-keys><ref-type name=”Book Section”>5</ref-type><contributors><authors><author>Tajfel, H.</author><author>Turner, J. C.</author></authors><secondary-authors><author>Austin, W.G.</author><author>Worchel, S.</author></secondary-authors></contributors><titles><title>An Integrative Theory of Intergroup Conflict</title><secondary-title>The Social Psychology of Intergroup Relations</secondary-title></titles><periodical><full-title>The Social Psychology of Intergroup Relations</full-title></periodical><pages><style face=”normal” font=”default” charset=”162″ size=”100%”>33-47</style></pages><dates><year>1979</year></dates><pub-location>Monterey, CA</pub-location><publisher>Brooks-Cole</publisher><urls></urls></record></Cite></EndNote><! [endif]–>(Tajfel & Turner, 1979b)<!–[if supportFields]><![endif]–>. These are individual mobility, social creativity, and social competition. The first principle individual mobility means that individuals attempt to pass to an upward status group. Regarding the Shiites of Iraq before the fall of Saddam, it can be said that this phenomenon seems to be true. However, although some of the Shi’ites were appointed to some governmental positions they had to show commitment to Saddam himself and they had to hide their real identity<!–[if supportFields]> ADDIN EN.CITE <EndNote><Cite><Author>Tripp</Author><Year>2007</Year><RecNum>195</RecNum><DisplayText>(Tripp, 2007)</DisplayText><record><rec-number>195</rec-number><foreign-keys><key app=”EN” db-id=”zpxez0zs4at2e7esw2bx92zjdtp92ae0a5zd”>195</key></foreign-keys><ref-type name=”Book”>6</ref-type><contributors><authors><author>Tripp, Charles</author></authors></contributors><titles><title>A history of Iraq</title></titles><pages>xxiii, 357 p.</pages><edition>3rd</edition><keywords><keyword>Iraq History 1921-</keyword></keywords><dates><year>2007</year></dates><pub-location>Cambridge. UK ; New York</pub-location><publisher>Cambridge University Press</publisher><isbn>9780521878234 (hbk.) 0521878233 (hbk.) 9780521702478 (pbk.) 052170247X (pbk. )</isbn><accession-num>5308260</accession-num><call-num>Firestone Library (F) DS79; .T75 2007</call-num><urls></urls></record></Cite></EndNote><! [endif]–>(Tripp, 2007)<!–[if supportFields]><![endif]–>. I should point out that this principle of Tajfel and Turner can explain upward mobility in communities where ethnic and religious identity is not so central to one’s existence. Of course, it has an explanation power in our case to some extent but the number of the appointed Shi’ites to governmental positions has always been limited. Under undemocratic regimes, individual mobility is quite difficult compared to western democracies. Therefore, individual and social mobility does not depend only on categorization but also on socio-political realities. In post Saddam era, individual mobility is not easier than that of Saddam era since the struggle over scarce resources between the Shi’ites and the Sunnis is very intense. The second principle is social creativity by which Tajfel and Turner claim ‘‘group members may seek positive distinctiveness for the in-group by redefining the elements of the comparative situation’’<!–[if supportFields]> ADDIN EN.CITE <EndNote><Cite><Author>Tajfel</Author><Year>1979</Year><RecNum>202</RecNum><DisplayText>(Tajfel &amp; Turner, 1979b)</DisplayText><record><rec-number>202</rec-number><foreign-keys><key app=”EN” db-id=”zpxez0zs4at2e7esw2bx92zjdtp92ae0a5zd”>202</key><key app=”ENWeb” db-id=””>0</key></foreign-keys><ref-type name=”Book Section”>5</ref-type><contributors><authors><author>Tajfel, H.</author><author>Turner, J. C.</author></authors><secondary-authors><author>Austin, W.G.</author><author>Worchel, S.</author></secondary-authors></contributors><titles><title>An Integrative Theory of Intergroup Conflict</title><secondary-title>The Social Psychology of Intergroup Relations</secondary-title></titles><periodical><full-title>The Social Psychology of Intergroup Relations</full-title></periodical><pages><style face=”normal” font=”default” charset=”162″ size=”100%”>33-47</style></pages><dates><year>1979</year></dates><pub-location>Monterey, CA</pub-location><publisher>Brooks-Cole</publisher><urls></urls></record></Cite></EndNote><! [endif]–>(Tajfel & Turner, 1979b)<!–[if supportFields]><![endif]–>. They argue that there is no need to any social change in group’s position for such attempts. The first dimension of this principle is that the group will attempt to compare the in-group to the out-group. Subordinate groups due to their limited access to scarce resources may search new dimensions of comparison. Also, they may change the values assigned to the group or may try to change the out group. In our case, the Shi’ites are not a unified group and therefore when there was a need to show their superiority, different Shiite groups compared each other to show its superiority to others<!–[if supportFields]> ADDIN EN.CITE <EndNote><Cite><Author>Jabar</Author><Year>2003</Year><RecNum>200</RecNum><DisplayText>(Jabar, 2003)</DisplayText><record><rec-number>200</rec-number><foreign-keys><key app=”EN” db-id=”zpxez0zs4at2e7esw2bx92zjdtp92ae0a5zd”>200</key></foreign-keys><ref-type name=”Journal Article”>17</ref-type><contributors><authors><author>Jabar, Faleh A.</author></authors></contributors><titles><title>Clerics, Tribes, Ideologues and Urban Dwellers in the South of Iraq: the Potential for Rebellion</title><secondary-title>The Adelphi Papers</secondary-title></titles><periodical><full-title>The Adelphi Papers</full-title></periodical><pages>161-178</pages><volume>43</volume><number>354</number><dates><year>2003</year><pub-dates><date>2003/01/01</date></pub-dates></dates><publisher>Routledge</publisher><isbn>0567-932X</isbn><urls><related-urls><url>http://www.tandfonline.com/doi/abs/10.1093/adelphi/354.1.161</url></related-urls></urls><access-date>2011/11/12</access-date></record></Cite></EndNote><! [endif]–>(Jabar, 2003)<!–[if supportFields]><![endif]–>. Although no group changed their values, different interpretations of values by different Shiite groups gave them the opportunity to make some internal comparisons. However, the Shi’ites could not change their out group since they did not have –and most probably will not have- such an opportunity. Although it may be speculation, since this conflict is a historical and institutionalized one it is not possible for both groups to change or choose another competitor. Furthermore, strict religious boundaries prevent such prospects. The third principle social competition refers to direct competition led by individuals against out-groups. It is obvious that this will create conflict since it is a competition over scarce resources. Although some prominent figures from the Shi’ite community tried to compete with the Sunnis and their establishment, little success could be achieved<!–[if supportFields]> ADDIN EN.CITE <EndNote><Cite><Author>Dawoody</Author><Year>2005</Year><RecNum>171</RecNum><DisplayText>(Dawoody, 2005)</DisplayText><record><rec-number>171</rec-number><foreign-keys><key app=”EN” db-id=”5fvvad0t7sw0vpexe9ov90a7wstavdfxfedr”>171</key><key app=”ENWeb” db-id=””>0</key></foreign-keys><ref-type name=”Journal Article”>17</ref-type><contributors><authors><author>Dawoody, Alexander</author></authors></contributors><titles><title>Governance and the Shiite Political Movement in Iraq</title><secondary-title>Public Administration and Management</secondary-title></titles><periodical><full-title>Public Administration and Management</full-title></periodical><pages>3-28</pages><volume>10</volume><number>1</number><dates><year>2005</year></dates><urls></urls></record></Cite></EndNote><! [endif]–><!–[if supportFields]><![endif]–>. However, our case is not only a conflict over scarce resources but also a religious one. While historically it seemed to be the conflict of different sects, this conflict included the competition over scarce resources. After the fall of Saddam in 2003, the Shi’ites rivaled to Sunnis strongly which is an ongoing situation in terms of political, social and religious affairs. However, later on, when the community proved its power to rival the Sunnis different factions led by prominent Shiite clerics were parties to a struggle on leadership and other scarce resources within the group<!–[if supportFields]> ADDIN EN.CITE <EndNote><Cite><Author>Katzman</Author><Year>2009</Year><RecNum>203</RecNum><DisplayText>(Katzman, 2009)</DisplayText><record><rec-number>203</rec-number><foreign-keys><key app=”EN” db-id=”zpxez0zs4at2e7esw2bx92zjdtp92ae0a5zd”>203</key><key app=”ENWeb” db-id=””>0</key></foreign-keys><ref-type name=”Report”>27</ref-type><contributors><authors><author>Katzman,Kenneth</author></authors></contributors><titles><title>Iraq: Post-Saddam Governance and Security</title></titles><volume>RL31339</volume><dates><year>2009</year></dates><pub-location>Washington DC</pub-location><publisher>Congressional Research Service</publisher><urls></urls></record></Cite></EndNote><! [endif]–>(Katzman, 2009)<!–[if supportFields]><![endif]–>. Finally, it is obvious that the social identity theory’s explanation power in our case is limited. One weakness of this theory derives from analyzing subordinate groups as monolithic which may divide into factions. However, although there are examples of unified subordinate groups the Shiites represent a highly divided community. Thus, different explanations could be at stake if this point included in the theory. Furthermore, although Tajfel and Turner criticize Sheriff’s study they do not provide us an alternative regarding scarce resources. Religious posts may be scarce but religion itself has a great impact on social identities which is not considered by Tajfel and Turner. The question how we can explain social identity of religious groups remains unanswered since moral issues are overlooked. Lastly, institutionalization of conflicts does not allow individuals to change their status as it is claimed by Tajfel and Turner since group boundaries are strong enough to reject such an idea. Artificially institutionalized conflicts, as Sheriff showed us, may easily be resolved but authentic and institutionalized religious conflicts does not seem to be disappear. Those who attempted to reject their Sunni or Shi’ite identities were not welcomed by both the Sunnis and the Shiites and their group status is below all of the existing groups in Iraq<!–[if supportFields]> ADDIN EN.CITE <EndNote><Cite><Author>Bozarslan</Author><Year>2011</Year><RecNum>204</RecNum><DisplayText>(Bozarslan, 2011)</DisplayText><record><rec-number>204</rec-number><foreign-keys><key app=”EN” db-id=”zpxez0zs4at2e7esw2bx92zjdtp92ae0a5zd”>204</key></foreign-keys><ref-type name=”Generic”>13</ref-type><contributors><authors><author><style face=”normal” font=”default” charset=”162″ size=”100%”>Bozarslan, Hamit</style></author></authors></contributors><titles><title><style face=”normal” font=”default” charset=”162″ size=”100%”>Identities and Sects in the Middle East</style></title></titles><dates><year><style face=”normal” font=”default” charset=”162″ size=”100%”>2011</style></year></dates><pub-location><style face=”normal” font=”default” charset=”162″ size=”100%”>Istanbul </style></pub-location><publisher><style face=”normal” font=”default” charset=”162″ size=”100%”>Istanbul Şehir University</style><style face=”normal” font=”default” size=”100%”> </style></publisher><urls></urls></record></Cite></EndNote><! [endif]–>(Bozarslan, 2011)<!–[if supportFields]><![endif]–>. <!–[if supportFields]> ADDIN EN.REFLIST <! [endif]–>Batatu, H. (2004). The old social classes and the revolutionary movements of Iraq : a study of Iraq’s old landed and commercial classes and of its Communists, Baathists, and Free Officers. London: Saqi. Dawoody, A. (2005). Governance and the Shiite Political Movement in Iraq. Public Administration and Management, 10(1), 3-28. Jabar, F. A. (2003). Clerics, Tribes, Ideologues and Urban Dwellers in the South of Iraq: the Potential for Rebellion. The Adelphi Papers, 43(354), 161-178. Katzman, K. (2009). Iraq: Post-Saddam Governance and Security (Vol. RL31339). Washington DC: Congressional Research Service. Nasr, V. (2006). When the Shiites Rise. Foreign Affairs, 85(4), 58-74. Tajfel, H., & Turner, J. C. (1979a). Differentiation between social groups: Studies in the social psychology of intergroup relations. London: Academic Press. Tajfel, H., & Turner, J. C. (1979b). An Integrative Theory of Intergroup Conflict. In W. G. Austin & S. Worchel (Eds. ), The Social Psychology of Intergroup Relations (pp. 33-47). Monterey, CA: Brooks-Cole. Tajfel, H., & Turner, J. C. (2004). Social Identity Theory of Intergroup Behavior. In J. T. Jost & J. Sidanious (Eds. ), Key Readings in Political Psychology (pp. 367-390). New York: Psychology Press. Tripp, C. (2007). A history of Iraq (3rd ed.). Cambridge. UK ; New York: Cambridge University Press. Zubaida, S. (2005). Law and power in the Islamic world. London: I. B. Tauris. « Power Sharing in Iraq: Lipjhartian or Horowitzian Approach?